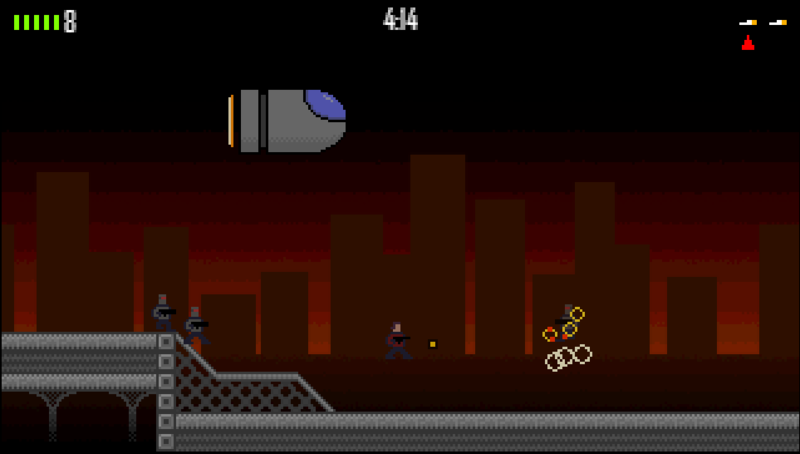 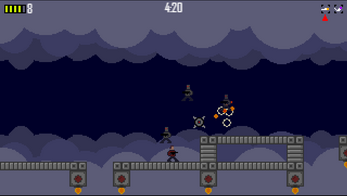 Combines side scrolling shooting with twinstick action. 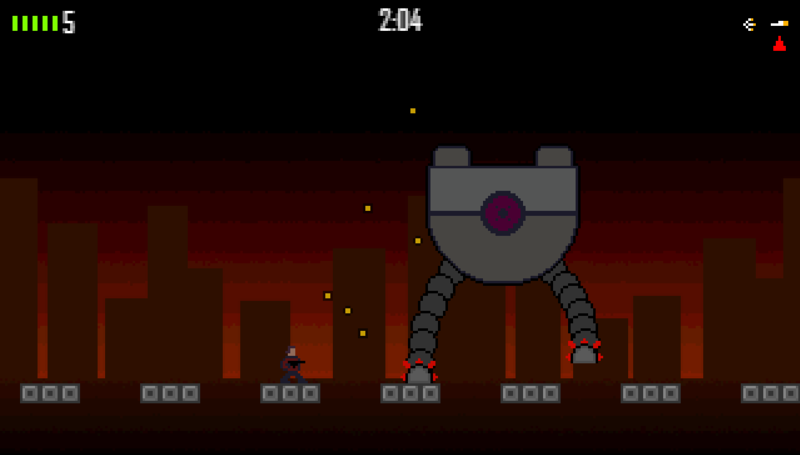 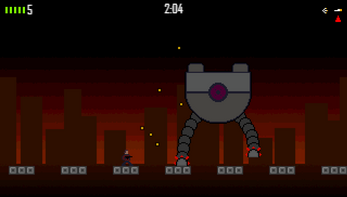 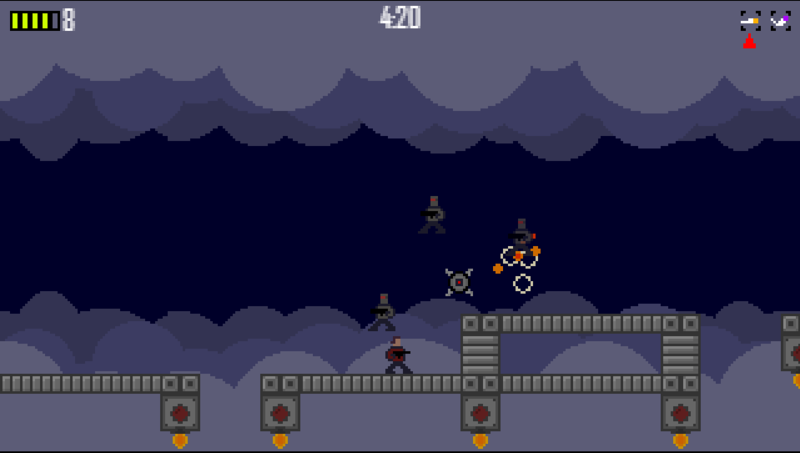 Face a robotic onslaught of non stop enemies and difficult bosses. 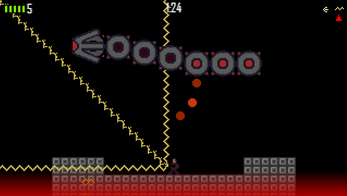 Also features weapon mixing! If you can stay alive long enough to pick up two weapons (probably not), the weapons will combine in interesting ways. The game is pretty tough so good luck.